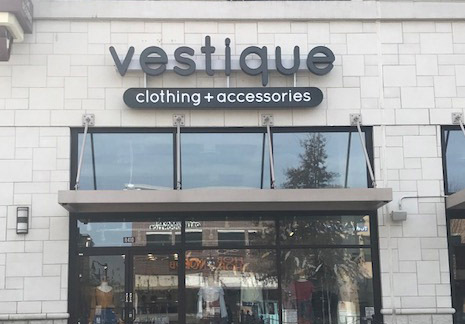 Vestique Women’s Boutique is officially open for business at our Town Brookhaven shopping center in Atlanta, GA. The store is 1,649 SF and is a perfect fit for this state-of-the-art mixed-use development that anchors Atlanta’s Brookhaven community. Town Brookhaven is a state-of-the-art mixed-use development in Atlanta’s Brookhaven community, conveniently situated on Peachtree Road, north of Lenox Square Mall and Phipps Plaza and adjacent to historic Oglethorpe University. The project consists of approximately 460,000 square feet of national and local retail and restaurants, approximately 20,000 SF of office, as well as more than 700 residential units. This remarkable center Sembler has created is an innovative, intensely landscaped pedestrian-friendly urban village, built for convenience and accessibility. Sembler assembled four separate parcels to create TOWN Brookhaven. This is a smart growth project that creates a sense of community while being respectful of the environment and surrounding neighborhoods.